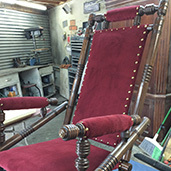 CDS Company is a full service furniture repair and refinishing company specializing in all types of commercial residential and antique furniture and we also provide custom reupholstering services. 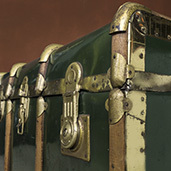 We are your source for the restoration of your family heirlooms or that flea market spruce up. 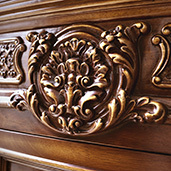 With over 30 years of experience Craig restores, refinishes, and builds custom furniture. 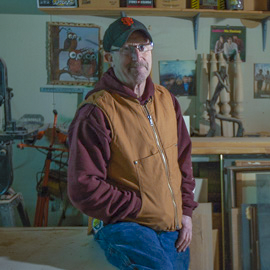 He has worked diligently to earn his customers trust, and appreciation for his skilled craft, and has helped many old pieces come back to life. 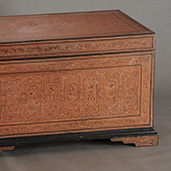 We take pride in our work, and we take extra care to bring life to damaged antiques. This is our specialty. With Over 30 years of experience we have the right solutions and skills to complete any job. We use old methods with the latest technologies to match wood, grain, strip sand, paint, stain and seal, so your piece comes back to life. Have an idea? We would love to build it for you. Send an email and tell us about your project. CUSTOMER SERVICE IS OUR FOCUS Exceeding expectations, and being available to help our Clients matters most. Our business is listening to, and helping you solve your problems. Craig was great! Really bailed me out last minute and did an excellent job. Great work! Refinished my great grandfathers hutch perfectly. I have a trunk that was handed down to me from my grandma and it needed an upgrade to bring it back to its beauty. I called CDS company and Craig answered the phone. After talking with him for a few minutes I knew it would be in good hands. He is knowledgeable and helped me decided what was best for the trunk. When He delivered it to me I was shocked, it turned out better than I could have imagined, and people make remarkable comments about it constantly. Thank you Craig!!!" I had my hope chest my Grandfather gave to my Mom refinished by Craig at CDS. It came out spectacular, and great customer service. Craig helped me find parts that were missing.